Isn't it a bit funny that this is my first blog post on South Florida and I lived here most of my adult life? I am actually very excited to put together this first list of day-time activities in South Florida ! I won’t even mention any of the beaches on the south-east coast – even though those are still beautiful and worth going to! I want to focus on six super fun and nice day activities when you visit South Florida. Even if you live here in Florida, I most definitely recommend any of these to do on the weekends! Sometimes we forget to be tourists in our towns. It's never too late to start. An artist from Chicago, Mr. Bartlett, built this house in the 1920s with an oceanfront view. Today this beautiful estate is a museum dedicated to historic and environmental preservation. The house is filled with the family's collection of art and their personal treasures. I reccomend doing the free tour they offer - they take you all around the house and you get to learn about the family, their style, and the way they used to live back in the 20s. You will be imoressed with the amazing orchid collection they have in the garden. Admission: $20 / adult and if you’re a Broward County resident you get $3 Off. They offer tours Tuesday-Sunday from 9 AM – 4 PM. Bonus! During the summer months (through September) they offer Cool Saturdays – this means tickets are $10/adult. Flamingo Gardens is a 60-acre Botanical Garden and Everglade Wildlife Sanctuary. It was established in 1927 and it is one of the oldest botanical gardens and attractions in South Florida. The centerpiece of the gardens is a natural hammock of 200-year-old Live Oaks dripping with orchids and epiphytes. While visiting the gardens, check out the Wray Home Museum - the oldest residence in Broward County west of University Drive. The building was restored in 1991 to depict a typical South Florida country home of the 1930s. Please note that, sadly, the gardens suffered damage from Hurricane Irma. This is one of my favorite hidden treasures of South Florida. We visited the monastery during the summer-time and we got lucky because there were only just a couple of other people visiting. The original monastery was built in Segovia, Spain back in 1141. 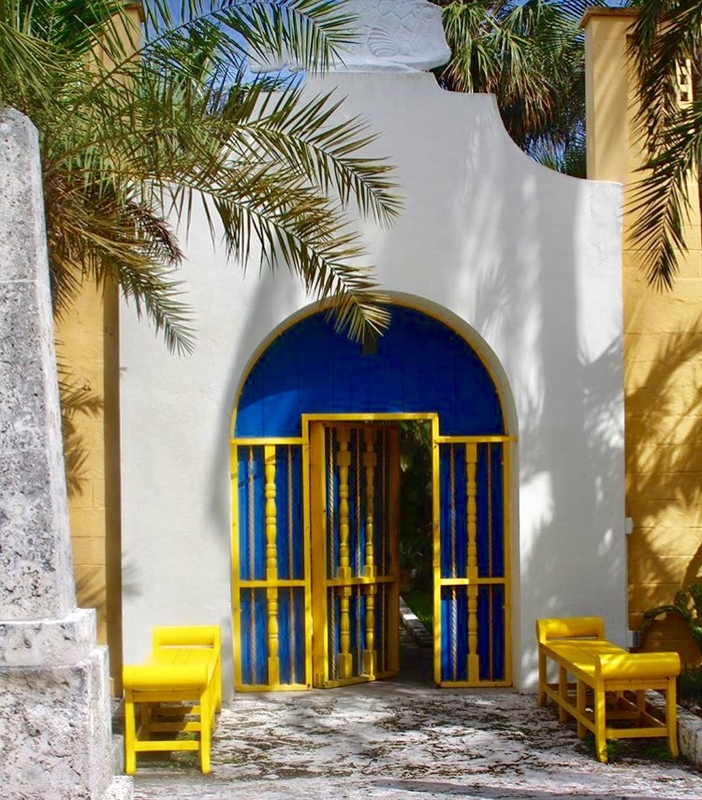 Later, William Hearst brought the pieces of the Monastery to America, and in 1952, Miami developers assembled the monastery on its current site. It’s really beautiful and makes you feel like you’re in Europe. Spend some time walking around, reading about the history of the monastery and exploring the beautiful gardens. Admission is $10.00 for adults and $5.00 for students and seniors. One of my favorite spots in South Florida, by far! It is the largest farmers market in South Florida with over 300 vendor booths! The Yellow Green Farmer’s market has all sorts of different vendors with seasonal products, fresh foods and artisanal creations made by local artists! You can find jewelry, soaps, lotions, delicious food, coffee, teas, a massage booth, vegan food, and so many other things. Even if you don’t want to purchase anything, it’s really nice to just walk around and see all the booths and talk to the vendors. You can spend a couple of hours here and I promise you’ll leave in a better mood. I find that Saturdays are less crowded than on Sundays. I visited Key West for the very first time just a couple of years ago. I didn't even know Hemingway's house was here in the heart of Key West. It’s a beautiful property and it was the home to Hemingway for more than ten years. You can go back in time when you visit the home, see the rooms and gardens by taking the guided tour. Admission: $14/ adult and & $6/ child. A great spot in Miami! The PAMM is a modern and contemporary art museum dedicated to exhibiting art from the 20th and 21st century. Most of the exhibitions highlight the diverse community in Miami and South Florida. Exhibitions highlight Miami’s diverse community and pivotal geographic location at the crossroads of the Americas. You can explore the many galleries they have and also enjoy the awesome hanging gardens right next to the Biscayne Bay. In case you’re hungry, you can have lunch at their little restaurant called Verde. Admission is $16/adult and $12 for youth (ages 7-18), Free for children (6 and under). Also, admission is free every Second Saturday of the month. The Shark Valley area is home to a diverse number of animals and plants. The various species change with the seasons and water levels throughout the year. The first time we visited, we saw at least 20 alligators along the path. The tram tour is guided by one of the park rangers, and they give you all sorts of fun facts and information about the animals and ecosystems in the park. It’s also very fun to do the loop on bicycles. Halfway through, you can go up the observation tower and overlook the park from above. The total trail is 15 miles round trip so make sure to bring plenty of water! Maybe I am saving the best for last? This place is truly amazing. We visited in May, so the weather was PERFECT. The water was very cold but still manageable. My recommendation is to go on their snorkeling tour! 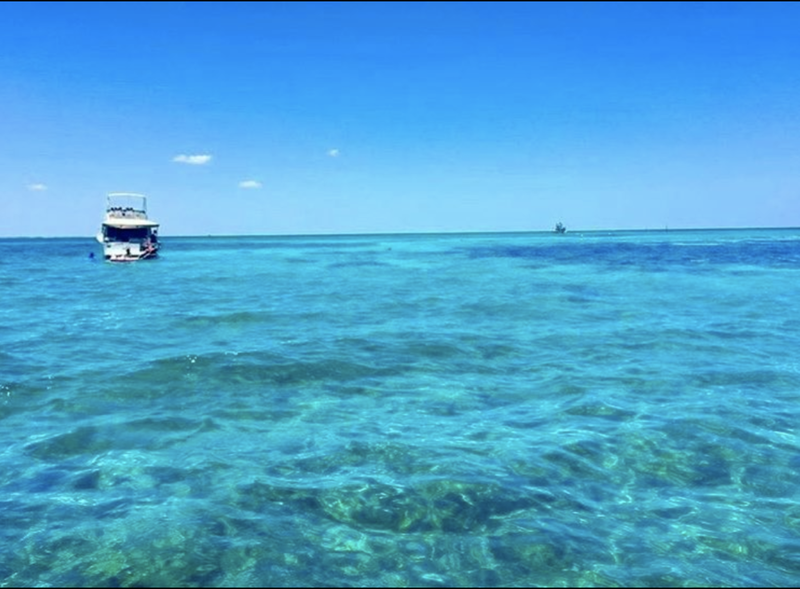 The coral reefs at John Pennekamp Coral Reef State Park are among the most beautiful and diverse of all living communities. They offer two packages: the shorter one is 2.5 hours total ($29.95/adult) - which means you spend a little over one hour in the water. The second option is 4.5 hours total ($38.95/adult) spending over 2 hours in the water and you get to visit more coral reef sites. We did the longer tour and I would totally do it again! The instructors are super nice and knowledgeable. Since it was my first time snorkeling, they took the time to explain us some tips to make the experience even better. Make sure to bring towels to stay warm between reefs and some snacks. Have you visited any of these places? I’d love to hear what you think. Make sure to get out there and keep discovering new places in your hometowns!